Man...what an amp!!!!!!! Does anyone else have any experience with these? Really great simple setup the Bill has put together...without all the dips and switches like the Sig Classic. Super clean. Great response in the low end without any muddiness. Takes pedals amazingly. 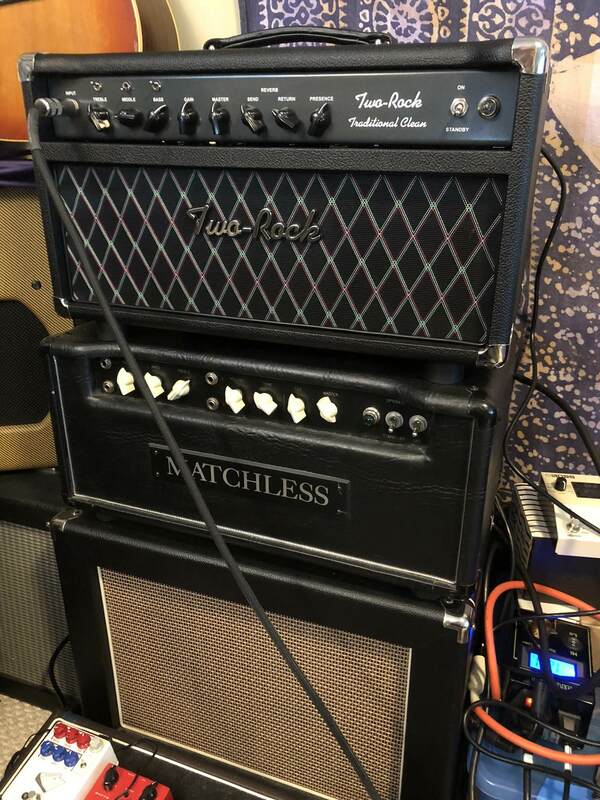 Someone had already bought the matching cab but this head sounds great through any of my cabs. I've never heard a Two Rock model that didn't excel at what it was designed specifically to do. This being said, $3449 is a lot a scratch. For someone in my position, I have to consider the opportunity costs there. But you guys with them all seem happy with your choices so that's got to count, too. Love the sound from that amp. Big bold clean and breaks up nicely. Want! Badly! But the price tag is just a bit too much for me currently. And in all honesty, I'm quit content with my AX8. I have a buddy with a Mayer Sig. I love playing through that thing! Two Rocks are the jam fo sho! Congrats on that amp! Enjoy! I'm jealous! I hear you guys on the cost. Not at all trivial and it required selling off a whole pile of gear to pay for, but I'm getting to the point where I'd rather have a few truly excellent things than many "good enough" things. A byproduct of aging, probably. Anyway, couldn't be happier with the amp and haven't thought much at all about the guitars and gizmos I sold to pay for it. I'd encourage anyone who can raise the scratch without undue sacrifice to take the plunge--on whatever "truly excellent" thing may inspire you. Amen! I went from a dozen guitars and half dozen amps to 3 high quality guitars and 2 high quality amps. Best decision ever.